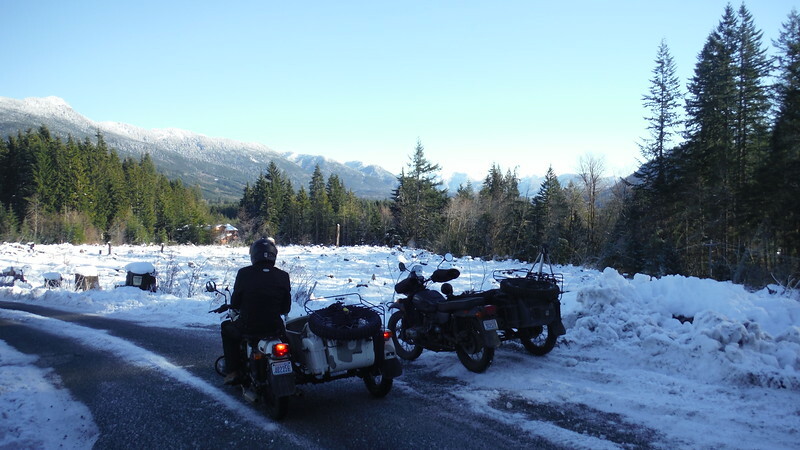 Mr. Cob and Mike, a NEW Uarlista ride their Ural's up Green Mountain in the snow. Discussion in 'Ride Reports - Day Trippin'' started by Mr. Cob, Dec 31, 2015. Its been a while since I have posted a ride report been doing a lot of FUN stuff just been to darn lazy to document it. However today was a GREAT day here in the Nor-Wet, 23 degrees but the SUN was shining a rare event this time of year where we live. The skies were blue so I figured what the heck I would invite a friend who has just recently bought a Ural and who had NEVER before ridden it in snow to accompany me as I made an attempt at getting to the top of Green Mountain which is about 5 miles from my home just outside of Granite Falls Washington. The elevation of Granite Falls is around 300 feet, the mountains in the back ground of this photo are about 900 feet, the snow line is at around 450 feet at this time. If we make it to the top of the Green Mountain ridge its around 4,000 feet. Heres Mike all bundled up ready for the days ride. 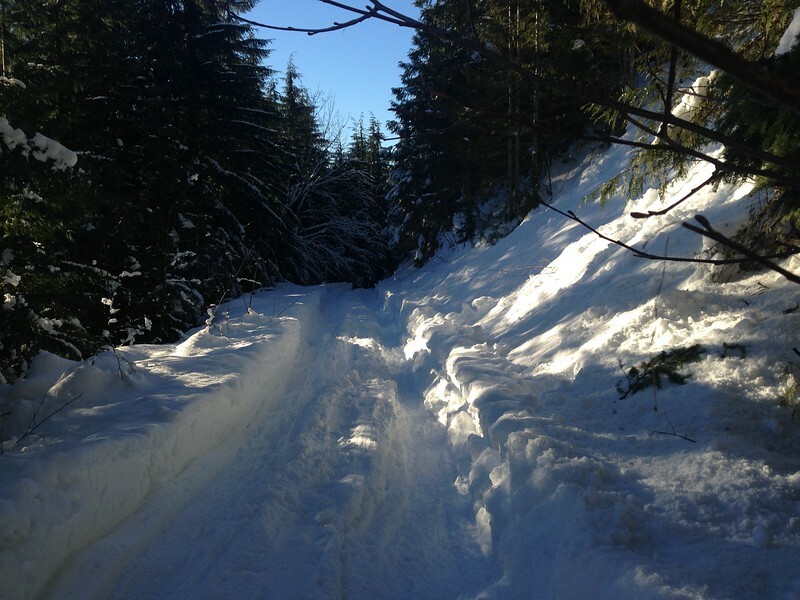 We have just turned off of the Mountain Loop Hwy, and are now on Forest Service Road #41, at this point the road is very bad pavement, it will soon turn in to bad gravel logging road that is covered in snow and ice. A short video describing the area and where we will be attempting to go. 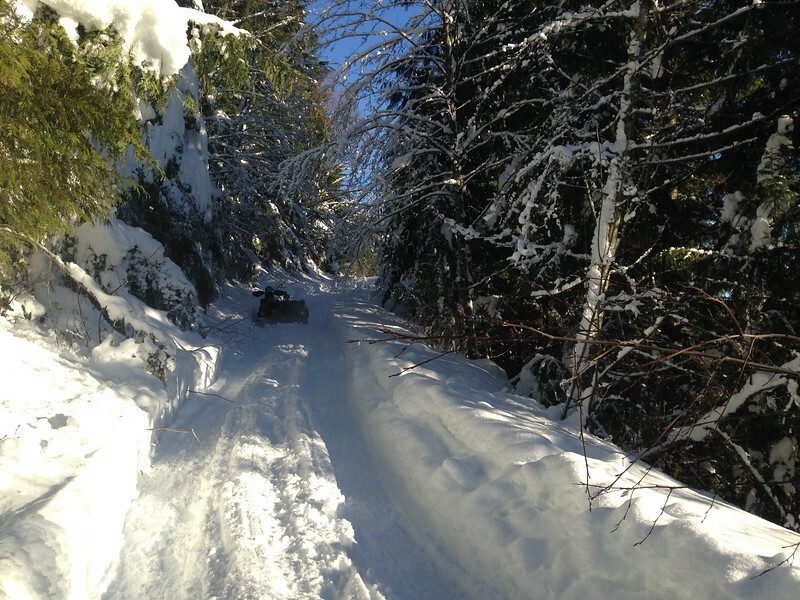 We pull off to the side to let a 4x4 pass on its way back down the mountain. 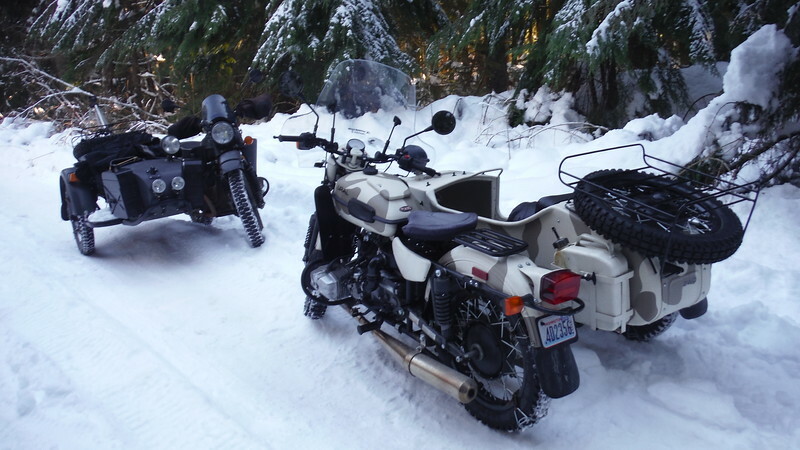 I have been riding Ural's in snow for a long time at about the 1,100 foot level I noticed Mike was not behind me, so I turned around and went back, he was stuck. At that point we installed the chains on the pusher and the sidecar wheels, then continued UP the mountain. Heres a short video showing the chains on the rigs. A short video showing the area at the 2,500 foot level at Robe Valley and the seattle sky line which as the crow flies is about 50 miles away. At this point I am stuck. Mike is stuck about a 1/4 mile behind me, look closely you can see his rig in the shade of the trees. A short video showing were Mike got stuck, and where I got stuck about a 1/4 mile up the road. We got Mikes rig turned around easily, my rig was in deep snow where another person with a 4x4 had dug down and left very deep ruts that floated the sidecar on the berm between the ruts not allowing the tires of my rig to get traction. 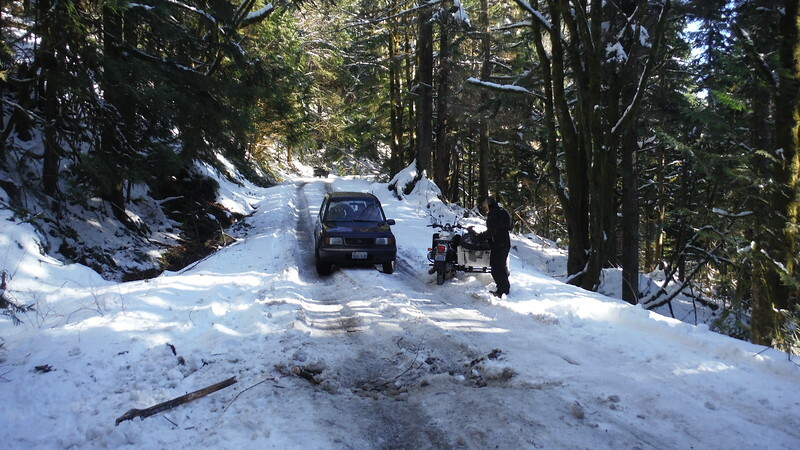 It took us over an hour using shovels, two wheel drive, reverse, and a rope puller to get my rig turned around to where we could ride back down the mountain. Heres a short video showing the rope puller in use in turning my rig around, we had to hook up to two different tress at three different angles to get the rig turned around. Here we are at the junction of 41 and 41A, most of the snow has by this time worked its way out of the spokes of the wheels. This is my rig. A short video interview with Mike after his first snow ride. We had a GREAT day, lots of fun. This type of weather is extremely rare at this time of year in our area so when it happens you have to take advantage of it. Hope this short little ride report has brought a smile to your face the ride sure brought one to ours. jmacp19, idjut, Dracula and 6 others like this. 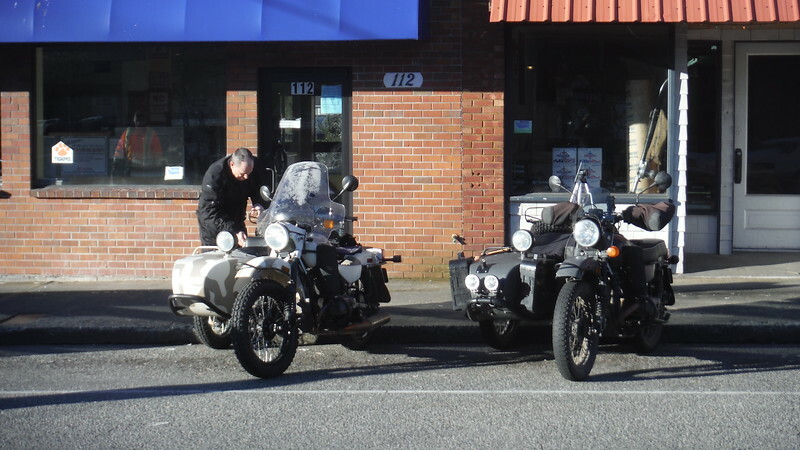 It was, I have been waiting a long time for another local to buy a Ural so I have someone who is also retired to ride with when the mood hits. Oh man I'm seriously jelly. I've been begging for snow here in NYC but it's been 60 degrees most of December! One of the nice things about where I live is that it rarely snows at my house and if it does it usually doesn't last very long but within 5 miles I can be in the snow, play in it then LEAVE it and go back home with out having to deal with it on a long term basis. Very nice; that looks like a lot fun. Got to love those Urals. Dave ... great RR and Video. I'll have to try some deep snow . I'm solo but hell got me a rope puller ...lol.. C U in Moab ! 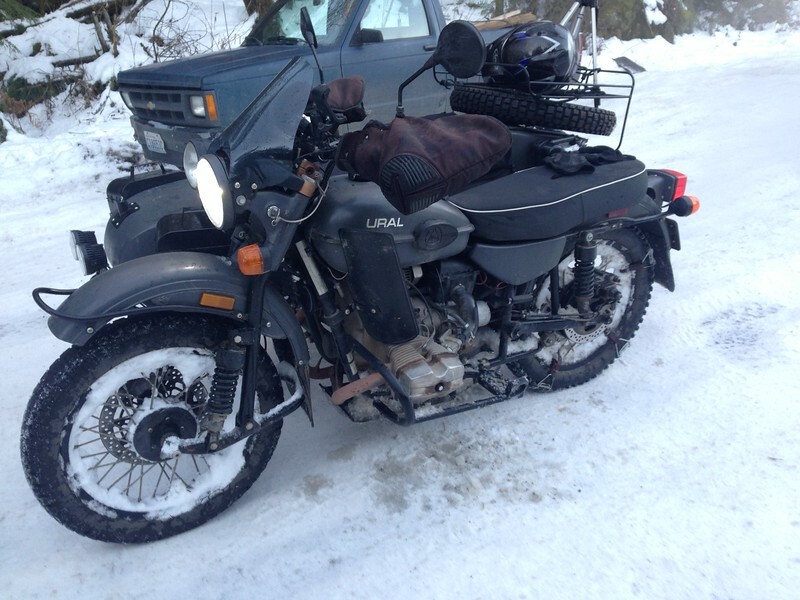 Very cool videos in the snow, i love those Ural hacks! So cool! 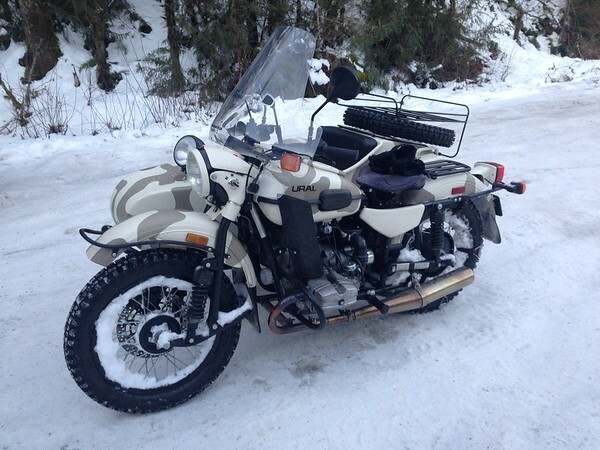 A ural has to be added to our garage ! Cobb you rule ! Its, "Cob" not Cobb, just sayin............. That said, we did have a really good time. 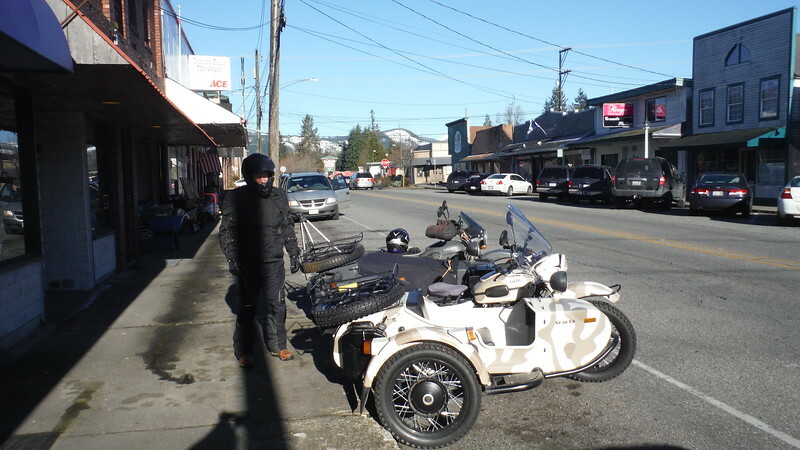 Looks like a good day :) always wanted to try sidecar riding. Do your self a favor, DO NOT give sidecar riding a try. The reason I say this is because its a love-hate thing, if you love it most folks who ride a sidecar rig find that their other bikes spend most of their time just sitting in the garage, if you hate it then you start thinking you were mentally ill to have even thought about it and then have to go through the hassle of selling the damned thing. Blue Mule and Sableye like this. Very cool. We don't get snow like that up in Victoria, but it looks like a blast. I don't know about snow in BC but you folks sure have some GREAT dual sport type riding up there. Years ago there used to be an ADV event called the "Loadedpaluza" held and put on by a guy who lives in Victoria, those were some really good times I sure wish that event was still taking place. You should have been there, an extra feller to help get unstuck would have come in handy, that said we had fun and will do it again.